TTI is now supplying a 9-position encoder connector and 4+2 power/brake connector for operating in harsh conditions. TE Connectivity’s latest Micro Motor Connectors for harsh industrial applications are now available in Europe at TTI. TE’s Micro Motor connection products are compact and highly reliable. The range now includes a 9-position encoder connector and a 4+2 power & brake connector. TE’s Power & Brake Connector for servo motor interface offers high performance in a small interconnect, with a high temperature rating of 125degC, plus its IP67 rating ensures suitability for harsh industrial environments. Combining power and brake into a single connector lowers applied cost, as well as saving space. 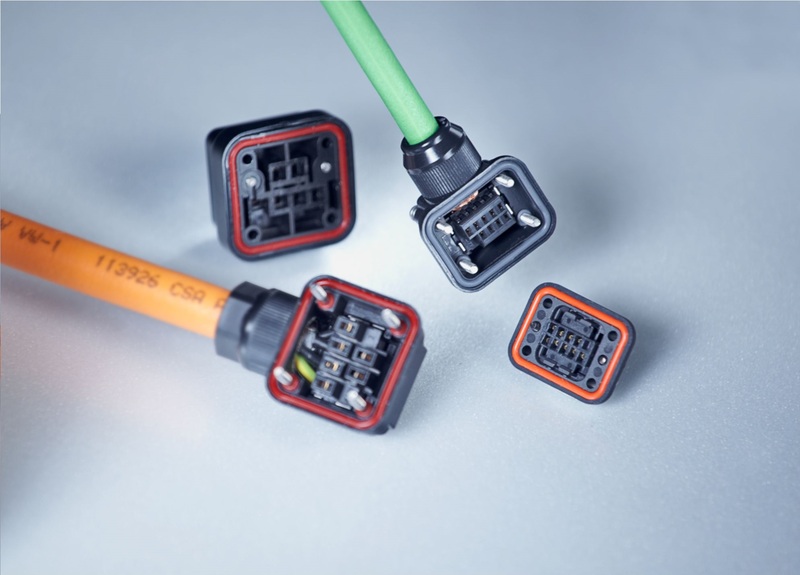 Designed for easy installation in the field, this highly-reliable plastic connector features a box design to provide vibration resistance and is compatible with commercially available cable. Electrical specifications for the Power & Brake Connector are rated voltage of 380VAC (power) and 48VDC (brake) with a rated current of 5A (power) and 2A (brake). Dielectric withstanding voltage is 2500V for one minute. For the Encoder, rated voltage is 10VAC, rated current of 1A and dielectric withstanding voltage. Mechanical specifications for the TE Connectivity 9 Position Encoder include a temperature rating of -30degC to +105degC and wire sizes of 0.1mm to 0.33mm with wire diameter of 6.8mm to 7.4mm. Touch and Go for Moore’s Law?